(?offline Jan19 replaced with Housing and Economic Land Availability Assessment HELAA 2014). The North Somerset 'Local Plan 2036 Issues and Options' consultation is due to close at noon, Monday 10 Dec 2018. "Through the Planning process vigorously question all development outside the Village Settlement … Ensure that all new development remains within the Village Settlement Boundary"
BPC has chosen not to raise and discuss this issue over the last 3 months, in its previous 4 publicly held meetings, but instead has decided to add it to their 10 Dec Agenda (Min 317.12), i.e. after the public deadline for comments. "... does not propose specific sites for new development at this stage. 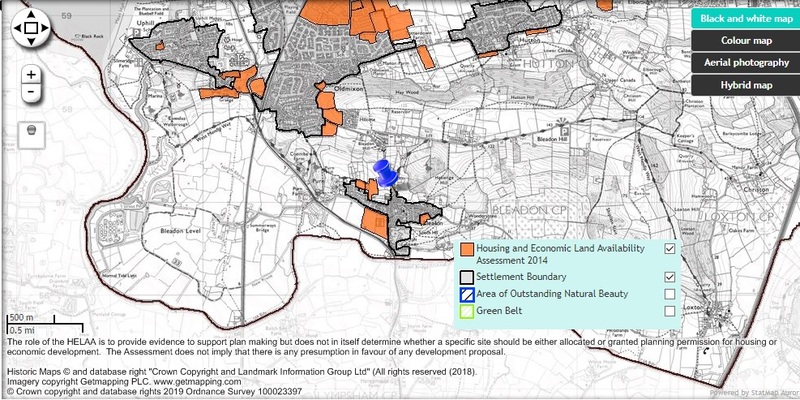 An indication of the potential opportunities which may be available is undertaken through the Strategic Housing Land Availability Assessment (SHLAA)... You can see which sites have already been submitted for our consideration in the SHLAA which can be viewed on our Local Plan 2036 Evidence Base webpage." Also, visit the NSC interactive map. "... 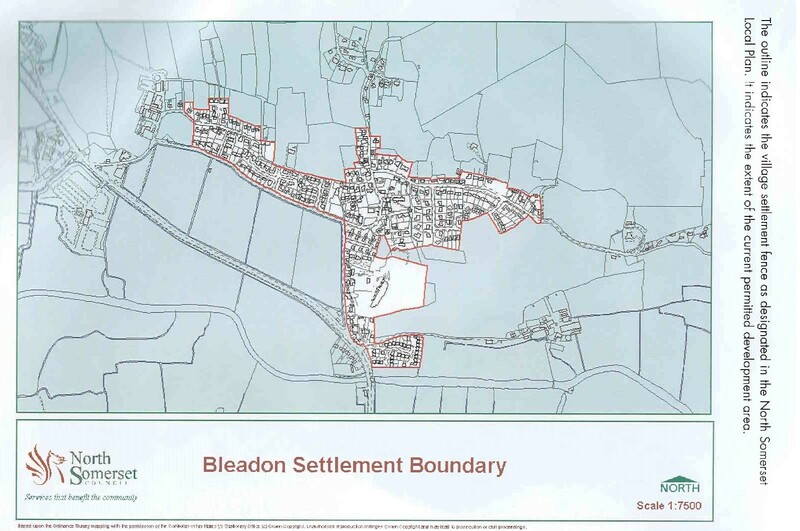 The next stage of the Local Plan will identify potential sites using the SHLAA and other evidence, taking account of the wider issues relating to settlement policy and the location of development to deliver a sustainable future pattern of development." "National planning policy states that it should support the strategic development needs set out in the Local Plan, plan positively to support local development and should not promote less development than set out in the Local Plan or undermine its strategic policies ... Nor should it be used to constrain the delivery of a strategic site allocated for development in the Local Plan." 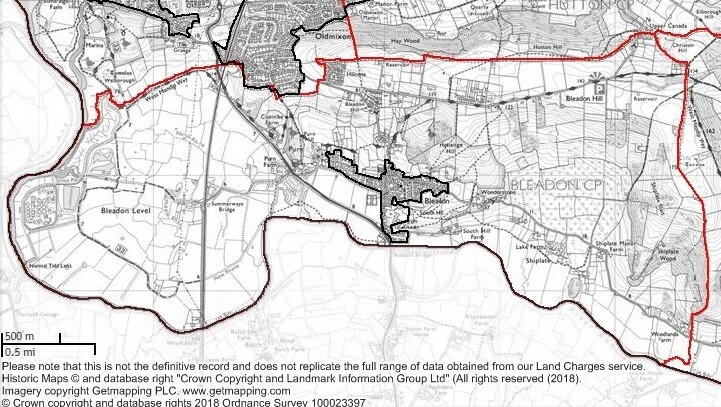 If you want to protect this boundary please make your comments directly to NSC. I'm afraid they have made it complex but there are a series of topics with questions on all the aspects of the new plan, that can be seen and answered online in full or part by registering with NSC, also comments can be made by email. I already have a login for 'NSC Do It Online' yet this will not let me comment on consultation? I do not want to register another NSC login so please find below brief comments on this consultation document. This is all seems led by JSP/JTS (aka Bristol/Bath expansion) Will anyone in NSC question the actual need for the housing build numbers based on old data dictated by central government? Isn't this all really just about supporting the house building industry as a major employer and LPA's gaining New Homes Bonus to top up their Council Tax revenue for social care? Shouldn't the real objective be population control? Council Housing should never be sold, perhaps shopping centres recently acquired by NSC should be converted to residential council housing as retail sector regresses due to increased online shopping? Planning permission should depend on ACTUAL availability of essential support service provision and infrastructure like healthcare, currently GP surgeries stretched, WSM A&E closed overnight, schools full, yet massive increase in population and traffic through new housing! This is crazy. NSC receive extra council tax and New Homes Bonus but NHS/Police nothing???? Why do we need to have a status, either communities are sustainable for growth or not. But by suppressing growth in larger 'service' villages, like cities the result is rural development at the cost of agricultural land. If services are not present, developers should fund and build key services first before housing this may control speculative applications on green field sites. By stopping Bristol/Bath expansion into green belt, development is 'leap frogging' green belt and destroying rural communities by creating 'garden' villages, producing more longer commuting to cities and increasing carbon footprint! Where is UK Food Security if our agricultural farming fields and buildings are housing estates, solar farms or golf courses? Re-establish smaller train stations, make public bus transport free (or massively subsidised) and enforce large freight by rail to solve increased traffic congestion, parking issues and environmental pollution. Pavements and foot/cycle paths are overgrown and littered, enforce legal duties to maintain them for more pleasant and safer sustainable travel. Reduce and enforce speed limits to also make use of highways safer for cyclists. If we build on our rural landscape why would anyone from cities want to visit? All housing should have mandatory renewable energy. Woodlands development should not lead to felling of trees. Why is growth considered good? Housing development, Airport and road expansion = increased pollution not to mention stress = poorer health!! We are becoming Locusts!